Open six days a week (Closed Mondays). 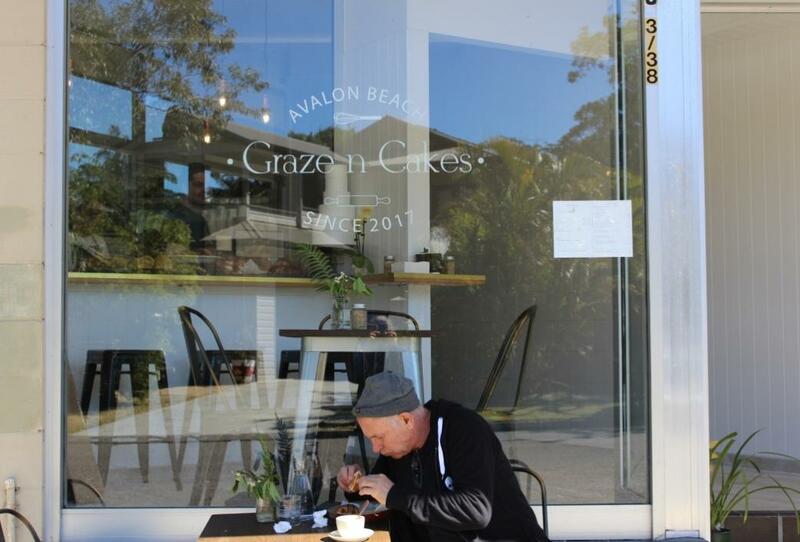 A fresh new taste has been brought to Avalon with the Vietnamese influenced fare of Graze n Cakes. Serving breakfast with a choice of freshly baked French baguette or freshly baked Sourdough or a Bacon and Egg Panini press ($8) as well as scrumptious pastries – plain Croissants or Almond or Chocolate or delightful custard and sultana Snails, this little tucked away gem was inundated on its first day, Saturday September 9th, with local customers. Lunch is served from 10 a.m. with a choice of the Graze n’ cakes pork roll; a fresh baguette crammed with pate, mayo, Roast Pork Belly, Vietnamese Devon, pickled carrots, coriander, shallots, soy sauce, cucumbers and chillies or, as recommended by the Elliott family – the Pulled Pork baguette; scrumptious melt in the mouth pork wit Green Apple coleslaw and mayo ($8.50). There is also a Roasted Chicken baguette option; still warn tender shredded chicken with pate, mayo, pickled carrots, coriander, shallots, soy sauce, cucumbers and chillies or the Lemon Grass Tofu baguette with pickled carrots, coriander, shallots, soy sauce, cucumbers and chillies. For those who like lighter food Rice Paper Rolls with your choice of protein and for something bigger there’s the Graze n’ Cakes Noodle bowl; Vermicelli noodles with carrots, cucumber, coriander, crunchy greens, chillies and summer lemon dressing, also with your choice of Pulled Pork, Roast Pork, Chick or Tofu. The coffee was great – our baguettes superb and the pastries we tasted, a snail and a chocolate croissant, will remind those who have been in France of the authentic article. 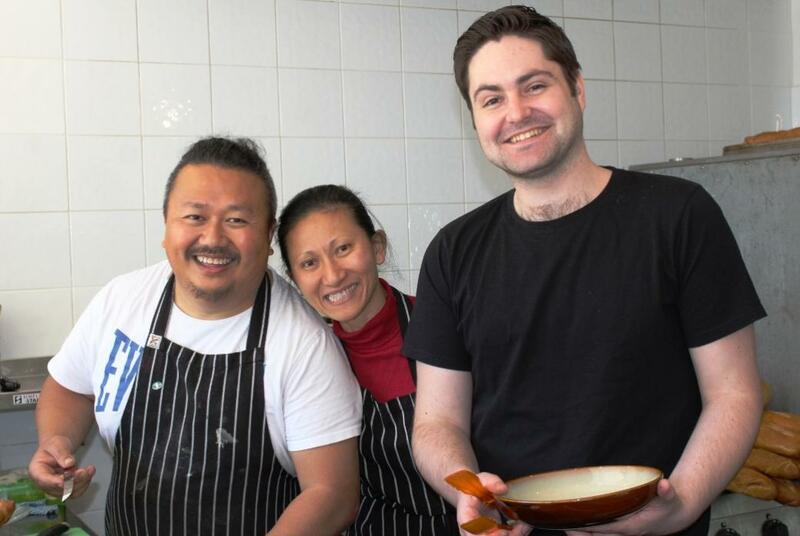 Matt, and husband and wife duo Viet and Sandy say they’re still testing out what will suit the local palate, but judging from their opening day, they are already doing what residents love and will only attract more to this new gem. If you have a look at their Facebook page the most amazing special occasion cakes can be ordered here too and this team is famous for their cheescakes - yum! 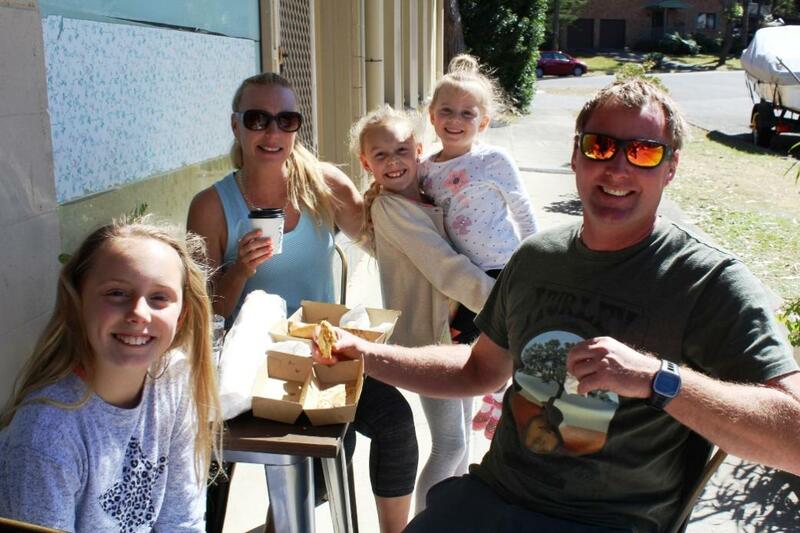 Just go up the Careel Head road, beside the Careel Bay Shops, swing right into Burrawong and there they are – a nice suntrap with superb food without the big price and without the roar of traffic and fumes from the main road. Congratulations Matt, Viet and Sandy – wonderful stuff! To list your business, have a Pittwater Online News Food page run, or place a logo on the Pittwater Online News Food page, please contact us with details of your requirements. Logos may be embedded to redirect to your own website. Full pages include an overview of menus as well as beautiful images to make the food sampled look its best. Pages are archived into Permanent pages past their week of Issue. Permanent pages in Pittwater Online News average 800 thousand visits per annum past their week of Issue ensuring diners will continue to view your eatery as a potential venue for breakfast, lunch or dinner or as the place to hold their larger functions.